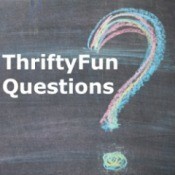 This page contains thrifty, do it yourself, furniture craft projects and tips. Making a King Size HeadboardHusband and I just got rid of our waterbed, and have gone to a regular bed. But we can't find a headboard we like. We are thinking of making our own, but need ideas. We live in a new house, but it was built to resemble an old farmhouse. Bird Safe Paint and Glue for Making a BirdbathCan the person who posted how to make a terra cotta fountain describe what type of paint will hold up outside and not cause any health issues for birds. Also the same question for the glue she used. Or if anyone can help me with these questions I would be grateful. Thank you. Applying Glitter to FurnitureI am trying to design my own children's line of furniture and who doesn't love glitter! My only problem is I've never worked with glitter on anything but paper. Does anyone have suggestions on how to make this work? My question is how do you make it stay on the furniture piece and not get all over the kids? What are your ideas on glitter and furniture?